Booking your ﬁrst cruise can be a stressful and intimidating experience. Deciding where and when to go, is only the beginning of it. How do you pay? What sort of cabin should you choose? How do you ﬁnd out about hidden extra costs? Do I need to pack any formal clothes? There is quite a bit to consider. But fear not, we’ve gathered some of the most frequently asked questions to make the process as easy as possible. How old do I need to be to travel with Saga? From relaxing hotel stays and scenic river trips, to cultural escorted tours and memorable ocean cruises, the varied collection is a perfect choice for anyone over 50 (a travelling companion can be over 40). How much of a deposit will I have to pay? For ocean cruises, Saga require £200 per person or 15 per cent of the cost of the holiday, whichever is greater, up to a maximum of £1,000 per person. How do your discounts work? On all Saga cruises, the company set aside a number of cabins within each grade at a discounted fare, with the highest discount of 35 per cent available on selected grades. These cabins are sold on a ﬁrst come, ﬁrst served basis. As cabins are sold, the discount begins to reduce and continues to reduce until those selected cabins are sold. This means that the earlier you book, the higher the chance of securing a greater discount. You’ll ﬁnd the latest prices on the website. During busy periods for booking holidays, the early booking discounts can reduce rapidly. When promoting new cruises for the ﬁrst time, Saga contact customers on the advance registration list ﬁrst, allowing them to secure the cabin of their choice and beneﬁt from the best savings. What if the price goes up after I’ve booked? Once you have booked we will not add any additional cost to your holiday unless you select any extras. This is regardless of what happens to fuel prices, exchange rates or any other factors that might inﬂuence the holiday cost. So, you can sit back and look forward to your break without the worry of paying more! The traditional way to book a cruise is to reserve your cabin number at the time of booking. However, if you’ve decided what type of cabin you want but don’t have a preference for a particular cabin or bed conﬁguration then the Inside/Outside Guarantees could be good for you. It means that you are guaranteed the minimum grade cabin in the category shown, just not the speciﬁc cabin. This will be allocated to you later on, sometimes as you embark the ship. If you choose not to accept your allocated cabin, which could be located anywhere on the ship, this is treated as a cancellation. There is a chance of an upgrade although this is subject to cabin availability and in no way forms part of this offer. Fine dining is an integral part of the cruising experience and Saga can cater for most dietary needs as long as let them know in advance. You can make Saga aware of your requirements at the time of booking. Are your cruises suitable for single travellers? There are many reasons why cruising with Saga is a fantastic way to holiday for solo travellers – from the small ships with their sociable and friendly atmosphere to the spacious cabins, fantastic value and onboard activities exclusively for solo travellers. Is there a loyalty club? Everyone who cruises with Saga for more than 35 nights is automatically rewarded with free membership of the Britannia Club. This brings an array of beneﬁts, ranging from exclusive special offers, a dedicated booking line and a quarterly newsletter. There’s an extended chauffeur service, priority boarding and even a free cruise depending on your level of membership. There are ﬁve levels: Bronze, Silver, Gold, Sapphire and, for guests who sail over a thousand nights, the prestigious Diamond tier. So whether you’re already a member of the Britannia Club, or just need a few more nights on board to qualify, choosing your next cruise is another step towards lots of additional delights! What is the tipping policy? If you are cruising on one of Saga’s own ships, gratuities and service charges are all included in the price of your cruise, so there is no need for you to budget for these costs once you arrive on board. Can I pre-book my shore excursions? We will send you excursion information 6-8 weeks before departure along with prices so you can plan and book your trips ashore in advance. You will be able to do this online. While we would advise you to pre-book your excursions due to limited availability, it is also possible to arrange these on board through the Travel and Tours ofﬁce. How many formal nights can I expect on my cruise? 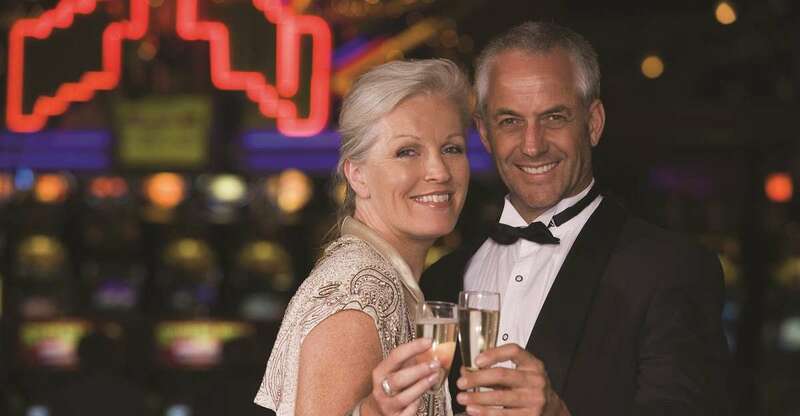 Not all cruises will have formal nights but generally you can expect 1-2 for every seven nights spent on board. On formal nights, it is impossible to overdress! A glamorous long dress and sequined shrug or pashmina are perfect partners for an elegant champagne dinner and a tuxedo and bow tie are the ultimate in sophistication (although a dark suit or dinner jacket would also be just ﬁne!). Are there laundry facilities on board? Saga Sapphire and Saga Pearl II have well-equipped self-service launderettes on board. Alternatively, you may wish to use the laundry service for a charge instead.